Struggling Reading welcome high-flying Sheffield United to the Madjeski Stadium on Saturday evening. Mark O'Haire previews the encounter. "A Sheffield United win and Over 1.5 Goals can be backed at 2.10 – just five of the Blades’ 30 triumphs since returning to this level have arrived via the 1-0 correct score." Championship strugglers Reading sacked manager Paul Clement on Thursday morning. The former Swansea and Derby boss was axed after an inauspicious start to the season that sees the Royals only outside of the relegation zone on goal difference having tabled four triumphs from their opening 20 games. The move came less than 24 hours after the club reappointed Nigel Howe as their chief executive, following the departure of Ron Gourlay who left the Berkshire club a fortnight ago. At the time of writing, no interim manager has been named as the club look to make a swift appointment before Saturday. Mo Barrow struck in stoppage-time to give the Royals an unlikely share of the spoils in their most recent outing, a 2-2 draw at home to Stoke last weekend. The hosts come into the weekend's contest in the midst of a major injury crisis with Liam Moore, Liam Kelly, John O'Shea, Jon Dadi Bodvarsson, Saeid Ezatolahi, Paul McShane, Omar Richards, Jordan Obita and Dave Edwards confirmed absentees. Sheffield United suffered an agonising late loss at home to rivals Leeds last weekend, courtesy of a dreadful defensive mix-up. Goalkeeper Dean Henderson had to chase John Egan's overhit backpass to avoid conceding a corner but miscued his clearance straight to the opposition, gifting an easy opener. Manager Chris Wilder remain philosophical post-match after watching his Blades outfit go toe-to-toe with the Whites. United hit the woodwork through Conor Washington's overhead kick in the dying embers of the encounter, whilst Billy Sharp had earlier headed over a fine opportunity to break the deadlock. Leon Clarke is a major doubt for the trip to Berkshire, meaning skipper Sharp should continue to lead the line alongside David McGoldrick. Elsewhere, Wilder is available to select from a largely fully fit squad with no major alterations expected in the starting XI. Reading [4.70] have collected just one point in their last seven league matches against Sheffield United (W0-D1-L6) and have been beaten in each of their last four meetings with the Blades at the Madejski Stadium. The host arrive with a sole success to their name across their past seven Championship games (W1-D3-L3). The Royals are returning just 40% ratio figures when viewing the major performance data metrics in the Championship and have W0-D3-L7 when taking on top-half teams this term. At the Madejski Stadium, the Berkshire boys have W2-D4-L10 against the same opposition since the start of last season. 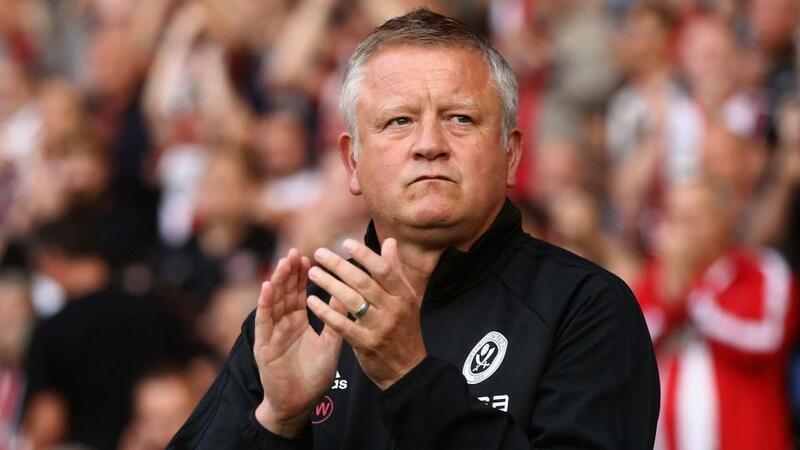 Sheffield United [1.83] have claimed 10 wins from 17 trips to bottom-half dwellers since promotion, and the Blades are boasting excellent figures across the same metrics. The visitors are posting around a 60% share for xG, xG from open play and shots from inside the penalty area, and therefore fair odds-on favourites, especially when considering Reading's injury woes. Over 2.5 Goals is trading at a very appealing [1.78] on Saturday having proven profitable in 15/20 (75%) of the duos respective home/away encounters this term. Those fixtures have combined to average 3.05 goals with both sides scoring on 12 (60%) occasions. We can bolster the odds available by supporting goals alongside an away victory with Betfair Sportsbook's Same Game Multi market. Here, a Sheffield United win and Over 1.5 Goals can be backed at 2.10 - just five of the Blades' 30 triumphs since returning to this level have arrived via the 1-0 correct score.